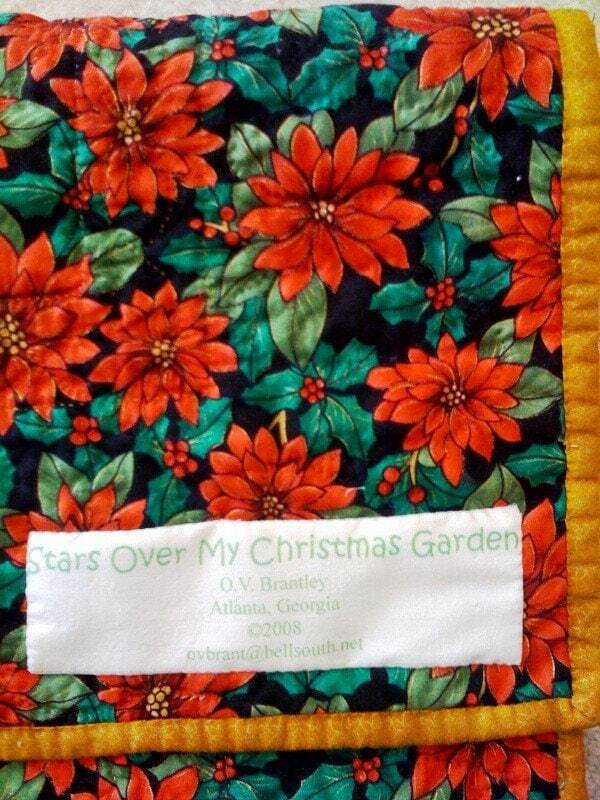 Stars Over My Christmas Garden is a traditional four-block quilt. 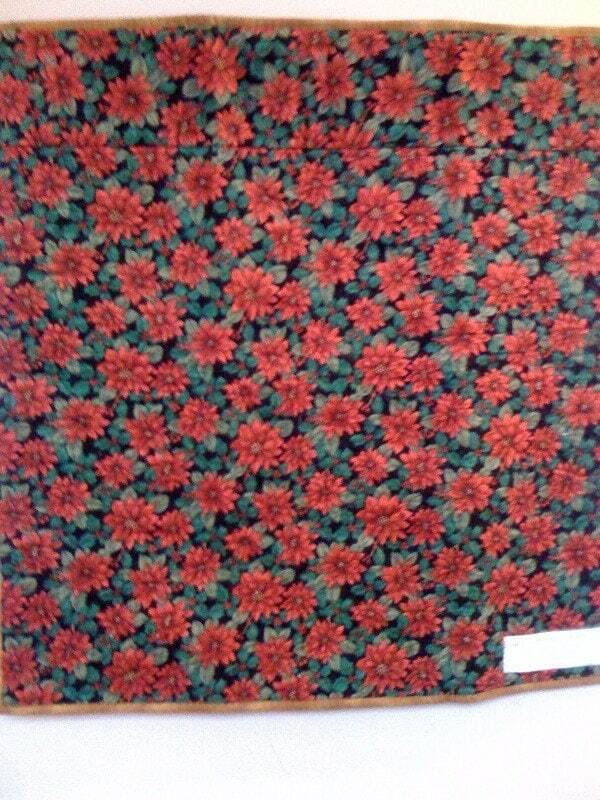 It has a poinsettia border and is embellished with buttons. 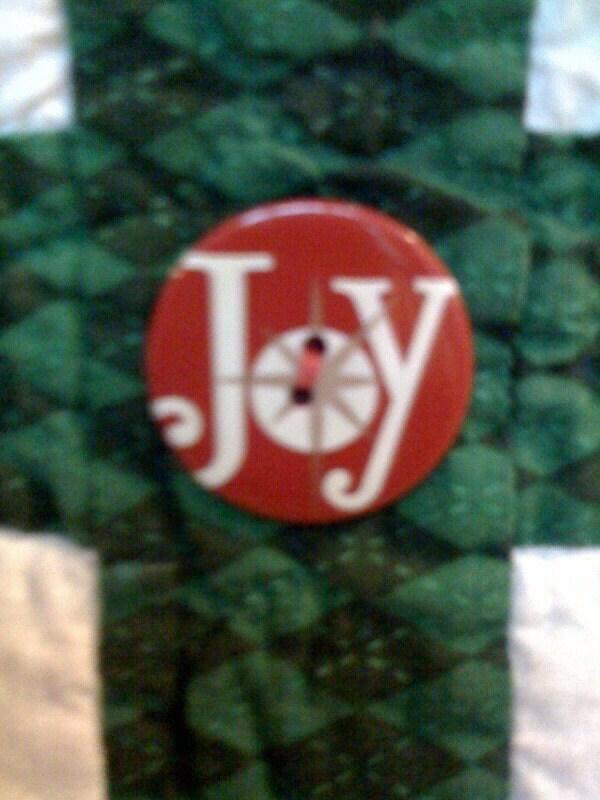 The word "Joy" in the center of the quilt is a focal point of the quilt. 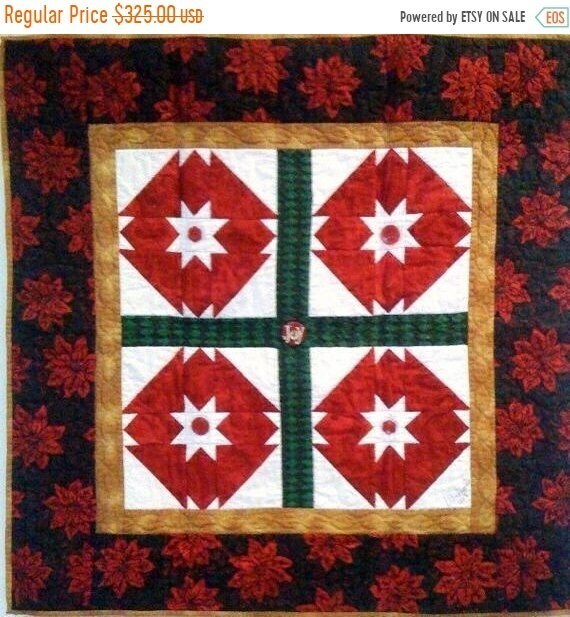 Hand quilting adds to the traditional feel of the quilt. There is a hanging sleeve on the back of the quilt, and a label that documents the quilt. 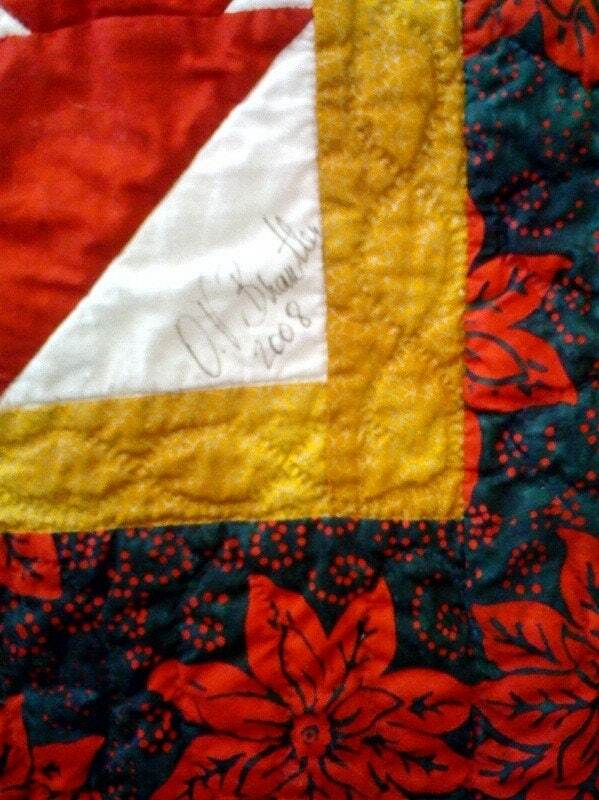 It is signed by the quilter O.V. Brantley.